Bette Midler covered TLC’s “Waterfalls” for her new record, and now all we want is to see her remake the original music video to accompany the cover. Is that too much to ask? If someone ever told us about an amazing cover of TLC’s “Waterfalls,” we’d laugh them right out of the room. 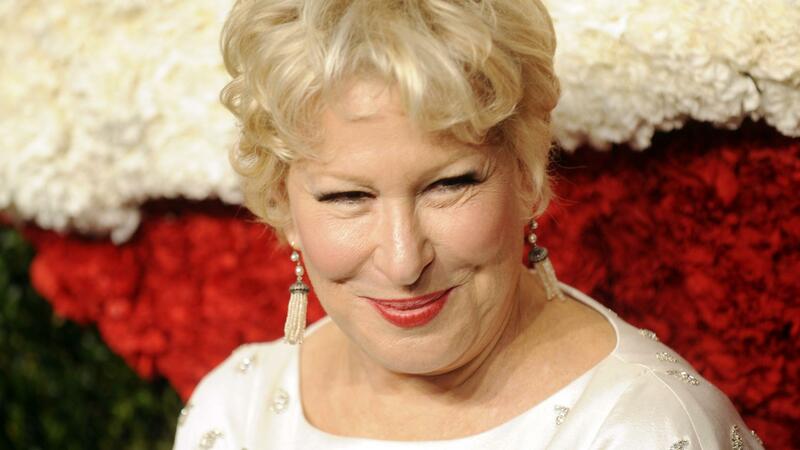 But darn it, Bette Midler made it work. And she made it work beautifully. OK, so we vote that this album should be accompanied by music videos. Midler can either remake the old music videos (maybe even featuring some of the original artists?) or make completely new ones. She needs to take these covers to a whole new level and introduce this beautiful music to a younger generation. Plus, don’t we all kind of want to see Midler rocking those loose pants, standing in water à la TLC? Come on! We can’t be alone in this. Midler’s voice booming over the reflective waters as her silky, ’90s-inspired pants flap in the wind… We’re kidding — now that’s something only TLC can get away with. We still want Midler to accompany these covers with videos of her own, please! It’s the Girls! will be released on Nov. 4.